THANK YOU! 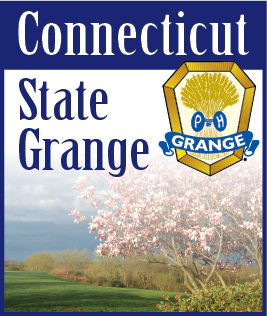 I cannot begin to adequately express my thanks to all Connecticut Grangers for their help at the North East Grange Lecturers Conference. Twenty-five Connecticut Grangers travelled to Nashua, New Hampshire, for our 97th Annual Conference. Everyone took part in the program and did a splendid job doing so. Our program was on the “Moons”. Jean Meehan decorated and donated costumes for our explorers; Sue Pianka and Edith Schoell filled in for our State Pianist who was unable to attend; Nancy Weissmuller and Karen Macdonald wrote skits especially for this program; several brave souls took a trip to the moon and one even brought back the “man in the moon”; and, Connecticut Grangers organized the first Grange on the Moon. Everyone that attended was wonderful and I thank each and every one of you for helping. THANK YOU! I also want to thank everyone who contributed to the gift I received at the banquet. I really enjoy being your Lecturer and I love you all. You are special. NEXT YEAR… As a lot of you are aware next year the conference will be in Connecticut. I will need a lot of help. The Northeast State Lecturers are planning on making several changes to try and increase attendance and thus meet our expenses. If you have any suggestions, please let me know. At this point I am looking for a place to hold the conference. It can be a college, prep or private school or any other place that meets our needs. If you know of a place please let me know so we can check it out. It will be a busy few months for me as I need a location in place by the next meeting of the Lecturers which is in early January. LECTURERS… Your Honor Lecturer Report will be included with the next newsletter which is due out Sept. 1st. That report along with Auld Acquaintance, Complete Programs, and Essays are due October 1st. Please be on time as I have to get them to the judges in a timely manner.